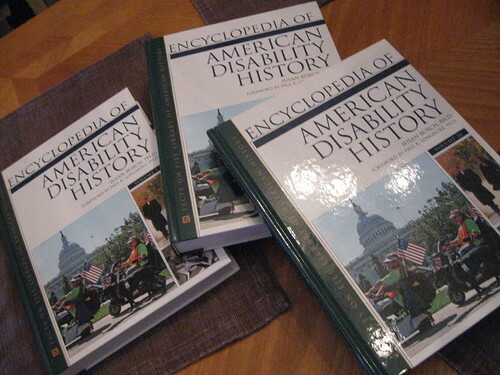 The Encyclopedia, unpacked, originally uploaded by pennylrichardsca. I was on the editorial board for this new reference work, and wrote about 25 entries for it, and compiled a lot of the timeline dates, and the “common quotes” feature too. It’s really nice to see it finally in print. This entry was posted on October 23, 2009 at 5:34 am and is filed under Uncategorized. You can follow any responses to this entry through the RSS 2.0 feed. You can leave a response, or trackback from your own site.